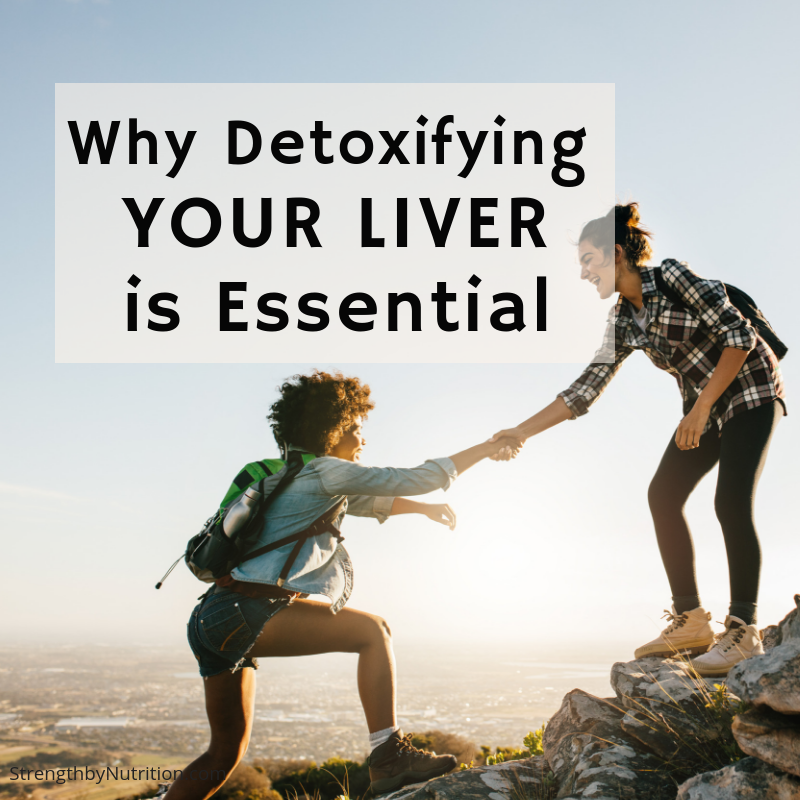 Earlier this year, as a result of my own health and hormonal studies, I came to the conclusion that my liver was in need of some serious support (more on this in our next Detox vs. Detoxing post). You see, I’ve been plagued with symptoms of cystic acne, rogue hair growth, digestive woes, food sensitivities, insulin resistance and vitamin deficiencies. Many of these symptoms are correlated with Poly-Cystic Ovarian Syndrome, or PCOS (again, anther post for another time). Nonetheless, what all of these symptoms have in common is that there is likely an issue with some of the main detoxifying organs of my body, in particular, my liver. How do you support the liver? We first need to REMOVE the toxin burden of our body and then RESTORE important amino acids, vitamins and minerals that support liver detoxificiation, and thus, detoxification of our body. Not only are we are exposed to a number of environmental toxicants, but we are lacking in nutritious food which is a double whammy for our body’s detox processes. As a result, our endocrine and neurochemical systems start to act a little haywire. Soon hormone receptors are blocked when they are supposed to be open and feedback systems are acting like a runaway reaction with no control. What are the Consequences of a ‘congested’ liver? According to Dr. Aviva Romm, “Scientific organizations, such as the Environmental Working Group (EWG), estimate that most of us have stores of hundreds of environmental contaminants in our bodies. Babies are born already carrying a toxic load of as many as 300 different chemicals in their bodies, and breast milk is rife with environmental pollutants. These toxins are coming from our foods, our water, our air, our household cleaners, our cosmetics, plastic containers, building materials, and about a million other places. Many of these chemicals are not benign. Even in practically unmeasurable tiny amounts, many can wreak havoc on our hormones, immune system, and nervous system.And we really have no idea how multiple different chemicals interact in the body, yet we are living in a soup of environmental chemical interactions! Heavy metals and organochlorides affect the nervous system causing anxiety, insomnia, ADHD, chronic fatigue, autism, Parkinson’s disease, and Alzheimer’s dementia. Endocrine disruptors in plastics and pesticides affect our hormones leading to thyroid disease, diabetes, PCOS, and infertility. How do we Remove the toxin burden on our bodies? Unfortunately, as individuals, we can’t always control or eliminate all of our toxic exposures. Major regulatory and industry policy changes (which we can accomplish in groups!) are needed. Eat Organic. Eating organic meat, dairy and produce decreases our exposure to pesticides, herbicides, antibiotics and a myriad of other chemicals in our food supply in the US. If eating ALL organic is too expensive, at least shoot for organic meats and dairy products, because the fat tissues in animals are repositories for environmental contaminants. As for fruits and veggies, makes sure you check out the list from the “Dirty Dozen,” and ONLY eat these if they are Organic. Use Safer Cosmetics. 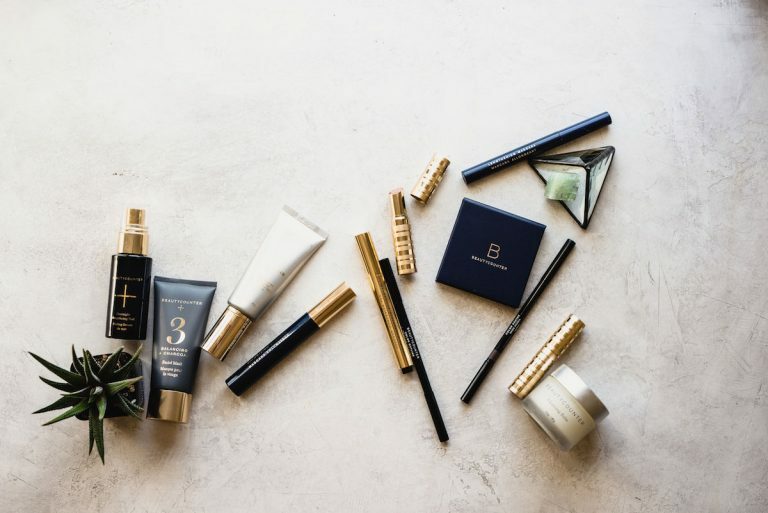 I order all of my cosmetics from Beautycounter – end of story. Not only is Beautycounter a company providing cleaner and safer products, but they are also educating and advocating for us in Washington. I am also a consultant for the brand and have taught about these products to many women who are hungry for better-for-them products. Replace Plastic with Glass. Most plastic bottles and containers leach endocrine-disrupting chemicals into food and beverages. Switch to a glass water bottle – I carry my Life Factory bottle and Hydroflask wherever I go. They’re virtually indestructible and don’t absorb nasty smells, like plastic water bottles do. In addition, switch out all plastic tupperware containers with glass. We love the 24-32 piece Pyryx brand sets. Detox the Home. Make sure the home’s detox systems are running clear as well! Keep in mind that changing air filters every 3 months (especially if there’s pets that inside) is essential; buying a few houseplants that help to filter the air, investing in a charcoal filter or reverse osmosis for your kitchen sink and shower heads is a small price to pay for cleaner water you ingest on a regular basis; avoiding use of petrochemicals on your garden and lawn, and minimizing electromagnetic-containing radiation (EMR) from TVs and microwaves as much as possible. How do we Restore our bodies with essential amino acids, vitamins, and minerals? In the end, this one is pretty simple. Drink plenty of water – half body weight in ounces. Get 8 hrs of sleep in a dark room. Walk 8-10k steps per day to get that outdoor time. Dry brushing or massage to get the lymph moving. Get at least 35g of fiber in each day from berries, veggies, whole grains, and avocado. Add in 20-30 min of self care practices to unplug and be zen. Use a steam bath or sauna once per week. Add some supplement if you first check with your doctor. Before embarking on any nutrition or supplement plan, consider working with a functional medicine doctor. Where ever you are in your journey, just remember that this can be a very gradual process. All that matters is that you are making steps forward in improving your health and well-being. Let us know if you need help cleaning up your products and understanding more about your liver health! Almost a Quarter of All Disease Caused by Environmental Exposure.” WHO. Web. “Reproductive Health.” Centers for Disease Control and Prevention, Centers for Disease Control and Prevention, 18 Apr. 2018, www.cdc.gov/reproductivehealth/Infertility/index.htm. American Plastics Council, Questions and Answers about BPA, downloaded from www.bisphenol A.org on 14 April 2004; Wilding et al, The National Workgroup for Safe Markets, No Silver Lining: An Investigation into Bisphenol A in Canned Foods, May 2010. Available at ej4all.contaminatedwithoutconsent/downloads/NoSilverLining-Report.pdf. “Pollution in Minority Newborns.” EWG Tap Water Database, www.ewg.org/research/minority-cord-blood-report. “Safer Chemicals, Healthy Families. A National Effort to Protect Families from Toxic Chemicals.” A National Effort to Protect Families from Toxic Chemicals., saferchemicals.org/health-report/. Lu, Chensheng, et al. “Organic Diets Significantly Lower Children’s Dietary Exposure to Organophosphorus Pesticides.” Environmental Health Perspectives, vol. 114, no. 2, 2006, pp. 260–263., doi:10.1289/ehp.8418.